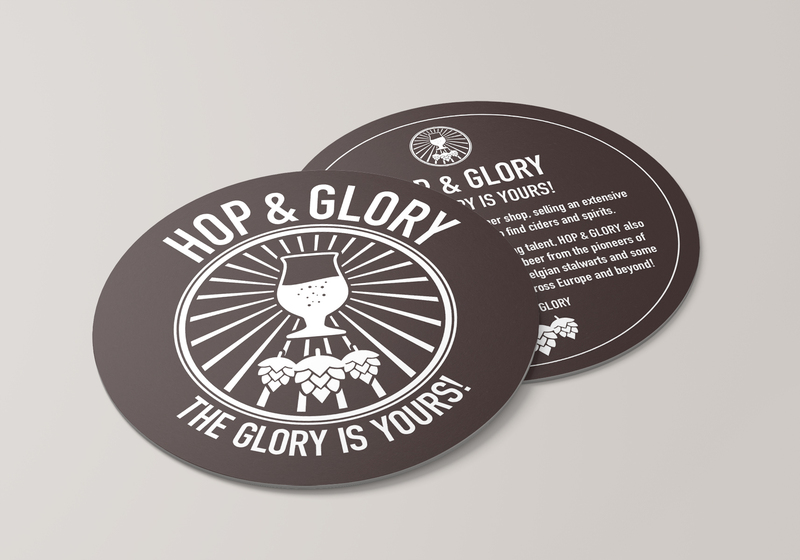 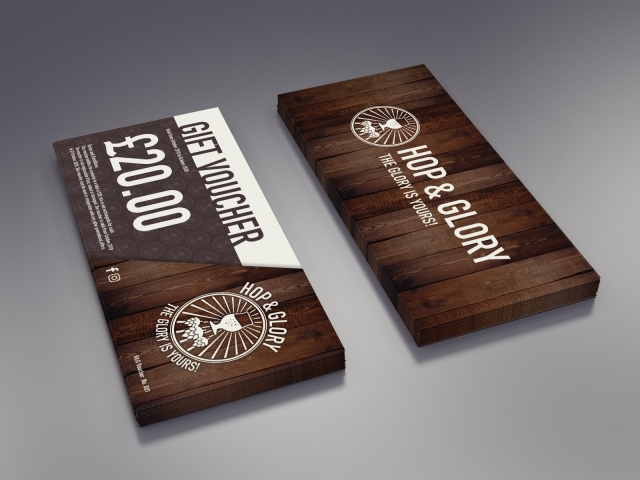 As a specialist beer shop Hop & Glory’s target audience is customers with a passion for beer and this idea became the focal point of their brand. 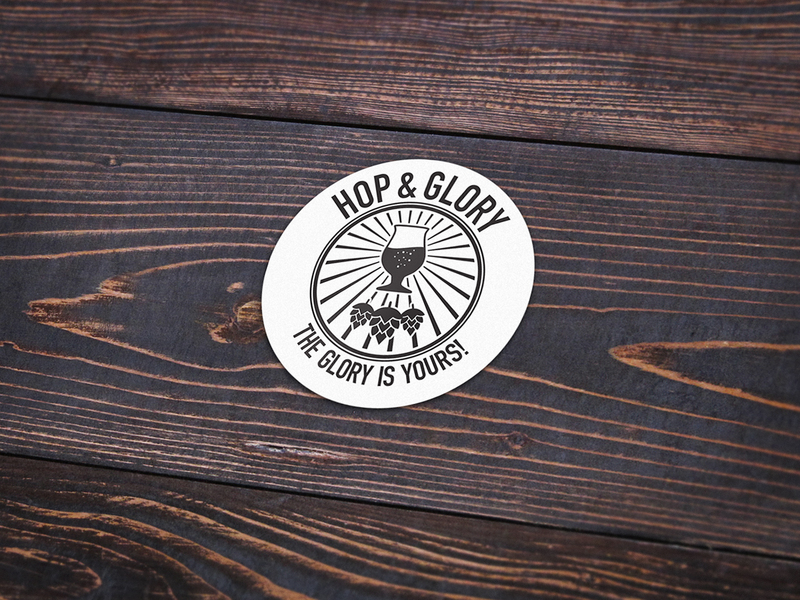 Following the logo design, the brand‘s colour scheme was inspired by contemporary craft beer styles, with dark wooden furnishings and bold typography. 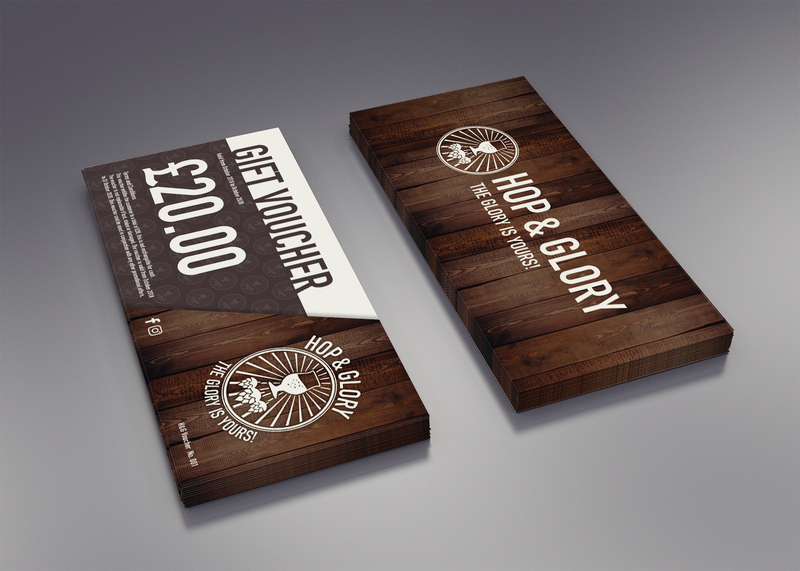 This style was applied to flyers, vouchers, beer mats and the interior and exterior of their flagship store in Acomb.